The suspect in the attack is expected to be charged Monday. The victims were recovering at a hospital in stable condition after suffering multiple stab wounds. The elderly couple stabbed by a house guest in their Bellevue home Saturday had apparently taken in their attacker after seeing her struggling and homeless in a park, the second time they had taken in someone off the street. 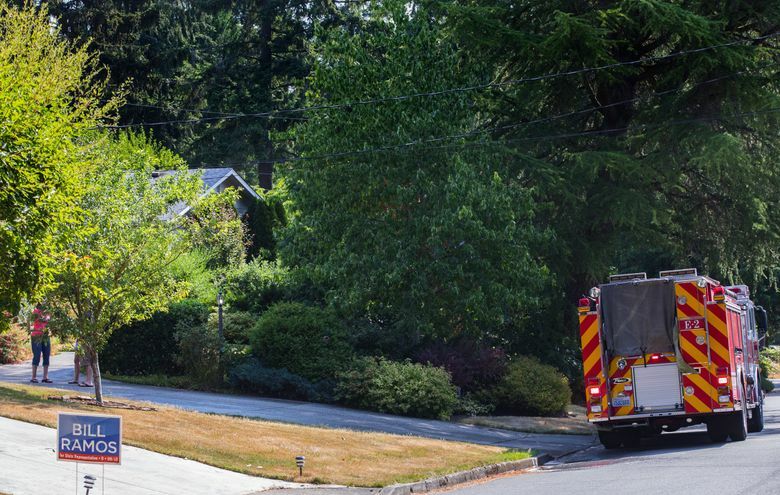 Bellevue police said the 83-year-old husband and his 76-year-old wife were seriously wounded by a woman who also unsuccessfully tried to burn their home down. They were in stable condition on Sunday at Harborview Medical Center and are expected to survive. Bellevue police spokesman Seth Tyler had initially referred to the alleged attacker, an unidentified 40-year-old woman, as homeless and noted the home had a tent in the backyard. He later said a neighbor had told investigators that the woman was living in the couple’s garage. On Sunday, Tyler said it was still unclear how the suspect came to live with the couple, although he expected more information to be released Monday morning. He noted that the suspect had permission from the couple to stay on the property and that they were not related. “But as far as how they met (her), what the context is, the prior relationship, I don’t know, and we’re trying to determine how they knew each other and how she came to be staying on the property,” Tyler said. He did note, however, that the couple had taken in at least one other person to live with them before housing the woman now under arrest. Police have not identified the couple, but property records and friends confirmed them as Glenn and Carolyn Hall, who were active at the Spirit of Peace United Church of Christ in Sammamish. Glenn Hall, a retired Boeing engineer, is also a recent president of the Issaquah Kiwanis Club; Carolyn is a retired teacher. Bruce Wiggins, a friend and church leader, said the Halls told him Carolyn had seen a homeless woman in distress in a local park and had decided to take her in recently. He said church members had expressed some concern but were not surprised they would take someone in. “They are unbelievably caring and compassionate people — so concerned about the world around them and the people that are struggling,” Wiggins said. Anne Potter, another friend and church member, said the couple — whom she described as “very caring, wonderful people” — had been at a memorial service for a churchgoer earlier Saturday, just hours before the attack. Potter said that the first homeless man the couple took in was an apparent success story, having “got his life on track” while staying with the Halls. She had heard the woman now under arrest had been doing better as recently as a few weeks ago, but hadn’t heard anything since. “Something clearly went horribly wrong,” she said. As the small church gathered for its weekly service Sunday morning, “everybody was just — there was a pall over the service today,” Potter said. Wiggins noted the Halls brought the woman to the church several times and she was introduced to fellow church members. Glenn Hall also had invited some local people experiencing homelessness to speak with the Issaquah Kiwanis Club and share their stories. Church members visited the Halls at the hospital and at least one was able to talk with Glenn. The suspect, who was arrested by officers responding to the scene, has not been identified, pending charges that were expected to be filed Monday. Those charging details might also shed more light on what led up to the attack, the circumstances of which were either unclear or not made available Sunday. Carolyn Hall was able to flee the attack to the house next door. A neighbor called 911 around 5 p.m. Saturday on the 16200 block of Southeast 31st Street in the Spiritridge neighborhood. When officers arrived, they found Carolyn bleeding in the street and Glenn in the house, both with multiple stab wounds. First responders were also able to put out small fires that had been set throughout the house.